The Forgotten Hope 2 team is looking for talented modders with a passion for World War II and commitment to work hard. We need new fresh talent for our next campaign, the Russian front. 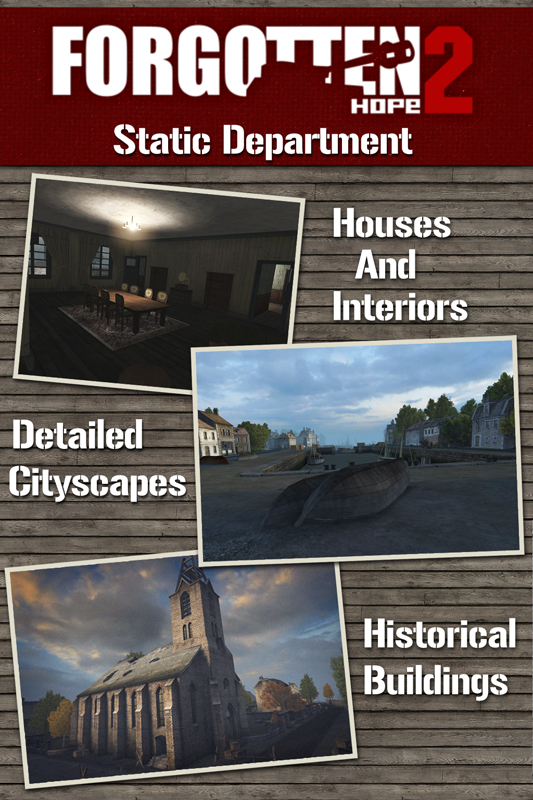 The mod was released on December 14th 2007 and is currently the second most popular mod on the bf2 engine and won the 2010 Moddb players choice award. If you have other abilities that you think are beneficial to this mod, please do not hesitate to contact us either per e-mail (fh2mod@gmail.com), IRC (#fhmod @gamesurge) or a personal message to Nissi via the Forgotten Hope Forums! Please visit us on IRC to have a chat with us if you like to understand your future role even better or just wish to make your first contacts with the team.